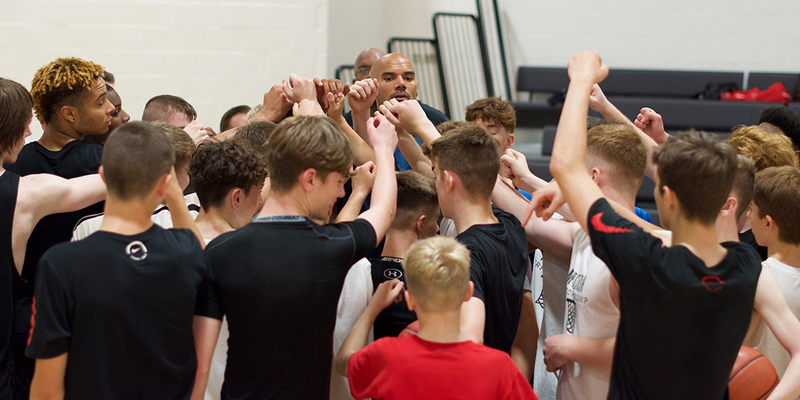 Myerscough Basketball Academy is proud to host its annual Summer Performance Camp at the Pure Leisure High Performance Centre on the Preston-based campus, where attendees get a first-hand experience training in a professional environment. 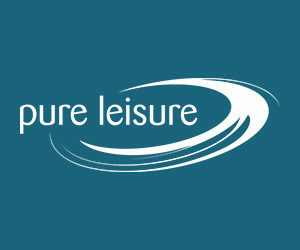 The 2019 Myerscough Summer Performance Camp for boys and girls age 14-25 will be held August 4-9 at the state-of-the-art Pure Leisure High Performance Centre on the campus of Myerscough College in Bilsborrow, Preston. The cost of camp is £295 if booked through January 31, 2019 for residential attendees, which includes 5 nights housing in college accommodation and three meals each day, whilst any application submitted afterward is priced at £320. The non-residential campers fee is £150. Residential camp runs from Sunday to Friday whilst non-residential attendees commence at 9:30 a.m. on Monday, August 5, with each day ending at 5:30 p.m.
All campers will receive a Myerscough branded reversible training top and can expect over 40 hours of instruction – 35 spent on court – from sessions led by elite-level coaches, professionals and trainers. Previous camps have included coaching from Tony Garbelotto (Glasgow Rockets, Great Britain, Scotland National Team), Mark Dunning (Reading Rockets) and Daniel Gayle (Worthing Thunder), as well as professionals Kieron Achara, Stefan Gill, James Jones and David Aliu. Day to day activities subject to change. 7:00 - 7:45 - Breakfast club workouts. 9:00 - 9:30 - Morning class-room session. 5:30 - 7:00 - Dinner and down time. If you are interested in more information, please contact us or click here to register for camp. The camp starts for residential attendees at 2:00 p.m. on August 4 at the Pure Leisure High Performance Centre. Non-residential campers commence camp at 9:30am on Monday, August 5 with each day ending at 5:30 p.m. Residential campers will have dinner before strength and conditioning and individual practice until 10 p.m. Residential campers includes six nights housing in college accommodation and three meals each day. All campers receive a Myerscough reversible top (adult sizes only) and over 40 hours of instruction from elite-level coaches, professionals and training staff. Where is Myerscough College located? The address of Myerscough College is St Michaels Road, Preston, PR3 0RY. Please contact us in advance, but there is a non-refundable deposit upon cancellation. What food will be provided during the camp? Residential campers will eat at the college canteen with three meals provided each day. Non-residential campers will need to bring their own packed lunch. Can campers pick who they room with whilst at camp? Campers can email with preferred roommate (two to a room), however, in previous years campers have had their own room. Can parents and guardians attend the camp? Parents and friends are welcome to watch daily activity of campers, with visitor parking available in the allocated lot on campus and just a short walk from the High Performance Centre.